We are so blessed with wonderful guests, fabulous friends, and generous relatives. To all of you, we say "THANKS" for being who you are. When the holiday shopping begins, remember Small Business Saturday! Consider this your invitation to shop at our local, small, unique stores on Saturday 11/27 AND everyday! For example: If you're looking for a special cooking gadget for your chef-friend - found it! at The Kitchen Shoppe in Carlisle. If you want some hand made jewelery, found it! at Colucci & Company in downtown Carlisle. 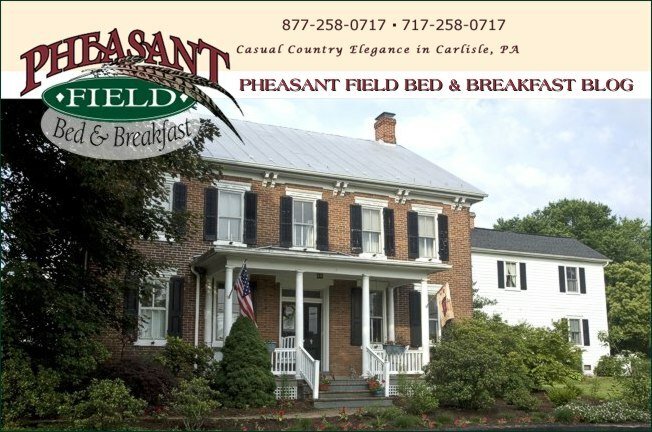 After all that shopping, find yourself in one of our luxurious suites here at Pheasant Field B&B. Relax and plan for the holidays. And don't forget that we have gift certificates too!